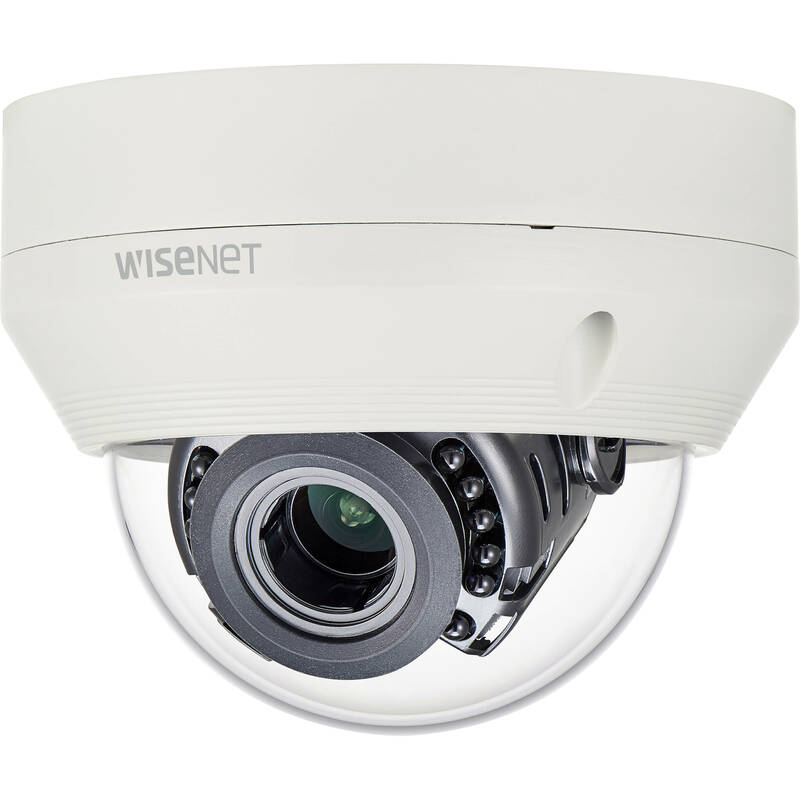 Keep your premises monitored day and night with the ivory WiseNet HD+ HCV-7070R 4MP AHD Outdoor Dome Camera with Night Vision from Hanwha Techwin. Equipped with a 1/3" 4MP CMOS sensor and a 3.2-10mm 3.1x varifocal lens, the HCV-7070R captures video at resolutions of up to 2560 x 1440 at 30 fps in fields of view ranging from 93.5 x 50.5° at the wide-angle end to 29.4 x 16.6° at the telephoto end of the zoom. The camera is equipped with an automatic IR cut filter and IR LEDs for night vision with an effective range of up to 98'. Image enhancements such as digital wide dynamic range and automatic white balance allow you to capture images in varying lighting conditions. The HCV-7070R is designed for plug and play installation and comes with mounting hardware and a video output cable.